It can take many years between an exposure and the later development of cancer. You may have heard about people being exposed to asbestos and developing mesothelioma many years later. The case is similar when it comes to cigarette smoking and lung cancer. What this means is that there is an elapsed period of time called a latency period between exposure to a cancer-causing substance and the first signs of cancer. Why is the latency period important and how does it make determining the causes of cancer difficult? What might this mean for people who have been exposed to toxic chemicals, such as the workers involved in rescue and recovery after the World Trade Center tragedy? The latency period for cancer is defined as the amount of time that elapses between the initial exposure to a carcinogen (cancer-causing substance) and the diagnosis of cancer. For example, you are probably familiar with cigarette smoking as a risk factor for lung cancer. The latency period, in this case, would be defined as the length of time between the onset of smoking, and the later development and diagnosis of lung cancer. The latency period can vary tremendously depending on the particular cancer-causing substance being evaluated and the specific cancer or cancers it causes. The period may be short, such as with the exposure to radioactive substances in Hiroshima and Nagasaki and development of leukemia, or it may be relatively long, such as the average time between exposure to asbestos and the later development of mesothelioma. Cancer may be related to either short-term high levels of exposure or long-term low levels of exposure. It's helpful when talking about latency periods to first review the definition of carcinogens. Carcinogens are substances in our environment which are thought to raise the risk of developing cancer. These exposures may include radiation, chemicals, ultraviolet light, and even cancer-causing viruses. Examples which you may be familiar with include asbestos, radon, tobacco smoke, and arsenic. Group 4 - Probably not carcinogenic to humans. It's also very important to point out that cancer is most often a "multifactorial disease" which develops as a result of an accumulation of mutations in cells, not as the result of a single mutation (there are some exceptions, mostly with blood-related cancers). In other words, most often a number of factors work together to either produce or prevent a cancer. That said, even when one of our cells develops mutations, most of these cells do not go on to become cancerous tumors. Our immune system is well equipped with cells that get rid of abnormal and damaged cells, but cancer cells are different. An example of the multifactorial causation of cancer could be women who smoke and also have a BRCA2 gene mutation. BRCA2 is a tumor suppressor gene. You may be familiar with this "breast cancer gene" due to the awareness raised by Angelina Jolie. Less well known is that women who carry a BRCA2 mutation have double the risk of developing lung cancer if they also smoke. In some cases, exposures to carcinogens can be more than additive. For example, the risk of lung cancer and mesothelioma for people who are both exposed to asbestos and smoke is greater than if you simply added these risks together. There are many reasons why it is important to be aware of the latency period with cancer. A common example is noted in the relationship between tobacco use and lung cancer. People may feel fine for many years—during the latency period—before it becomes clear that there is an association between smoking and several types of cancer. The concept of latency period can help explain why we are still uncertain about the danger of exposures to people who were involved in the clean-up efforts after 911. Another example of the importance of a latency period arises in discussions about cell phone use and brain cancer. It's been argued by some people that if cell phone use is a risk factor for brain cancer we should be seeing a significant increase in these tumors. It's important to note, however, that if tobacco smoking started and became common at the same time that cell phone use took off, we still would be wondering if tobacco could cause cancer. Obviously, smoking does cause cancer, but due to the latency period of decades, we could not have made a clear assessment of risk in the analogy. In other words, the jury is still out on the exact risk between cell phone use and cancer. Understanding the latency period also helps to explain one of the reasons why it is so difficult to study causation with cancer. If we were to begin a study today looking at a particular substance, we may not have results for decades. For example, at least 40 years if the latency period of a carcinogen was 40 years. For this reason, many studies (retrospective studies) look back in time. Since these studies are not carefully thought out ahead of time (like prospective studies) there are often many questions left unanswered. The dose or intensity of exposure. The particular substance (some exposures are much more likely to result in cancer than others). The type of cancer that results from exposure. Age at exposure. At some points in life, the body is more susceptible to carcinogens than at others (This may be easier to understand when compared with some infections. For example, an infection with cytomegalovirus may cause severe birth defects when contacted early in pregnancy, but only a mild syndrome with fatigue at another time). With cancer, exposure to ionizing radiation in utero is more likely to result in cancer than exposure during other periods of life. In addition, substances with a long latency period are more likely to result in cancer when the exposure occurs early in life simply because people may live long enough for the cancer to develop. Gender. Men and women may vary in their susceptibility to exposure. For example, it's thought by some (but not others) that women are more likely to develop lung cancer with the same amount of tobacco exposure. For women, estrogen may also play a role in lung cancer development. Genetic susceptibility. A clear example of a genetic influence on cancer development is seen in people with Down syndrome, who have an increased likelihood of developing leukemia. There are many other examples. In fact, though you may be familiar with ultraviolet light as a causative factor in melanoma, it's now thought that 55 percent of melanomas have a genetic component. Other medical conditions. Immunosuppression (an inadequately functioning immune system) whether due to medical conditions, chemotherapy, or other immune suppressive drugs, raises the chances of a carcinogen leading to the development of cancer. Based on studies to date, there does appear to be an excess cancer risk among these people. The only systematic study of roughly a thousand firemen and rescue workers found that seven years after the tragedy, there was a 19 percent excess risk of cancer at all sites. The cancers which appear to be increased so far include prostate cancer, thyroid cancer, myeloma, and non-Hodgkin’s lymphoma. Some of the carcinogens noted in dust and debris include asbestos, silica, benzene, and polycyclic aromatic hydrocarbons. 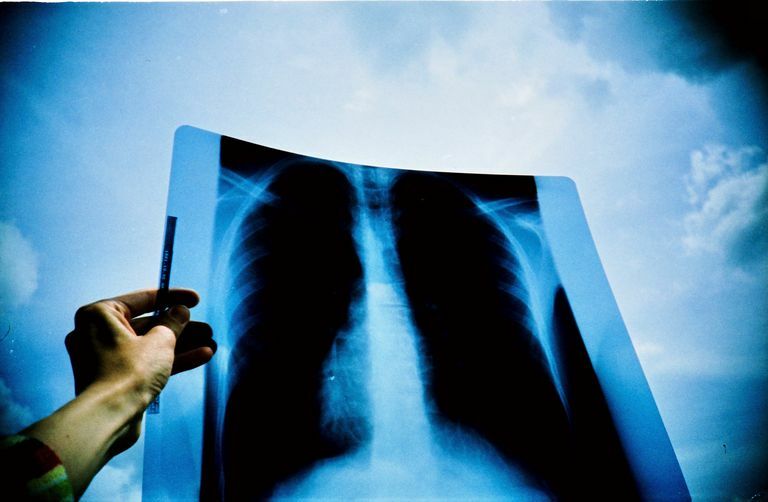 There is concern that the risk of lung cancer will be greater in the future, and understanding the concept of the latency period can help explain why we do not know more at this time. The latency period can vary greatly with different carcinogens, but even with a single carcinogen, there can be variations in both the latency period and the type of cancers which arise. A 2017 study looked at secondary cancers in people with acute leukemia. We know that chemotherapy—while it can sometimes cure these cancers—can also be a carcinogen which causes other cancers down the line. Conducted in Argentina, the study followed people with acute leukemias or lymphomas to determine both the incidence of secondary cancers (cancers caused by cancer treatments) and the average latency period between the treatment of the original leukemia or lymphoma and the development of secondary cancer. Roughly one percent of survivors developed secondary cancer. The latency period was significantly shorter for secondary blood-related cancers than for solid tumors. The average latency period for hematologic (blood-related) cancers such as leukemias and lymphomas was 51 months but varied from 10 to 110 months. The average latency period for solid tumors was 110 months, but with this period of time ranging from 25 to 236 months. As noted above, there are many substances we are exposed to each and every day that have the potential to cause cancer. This does not mean that there is a cancer conspiracy going on, or that corporations are releasing carcinogens to make money on chemotherapy drugs down the line. We simply don't have the resources, monetary input, or time to study the carcinogenicity and possible latency period of every chemical used in commerce. Until a substance has been evaluated over a significant length of time, we can't know for certain what the potential risk may be. While this thought could lead some to avoid new products and head for the hills, a little common sense and caution are likely all that is needed to keep yourself safe. Protect your skin and lungs. If a product recommends wearing gloves (in the fine print) wear gloves. We know that many chemicals can be absorbed through our skin. If a product recommends using good ventilation, open windows or turn on an exhaust fan. Take the time to read material data safety sheets for all chemicals you work with. If you are feeling anxious, remember again that most cancers are caused by a combination of factors, and you do have some control over many of these. American Cancer Society. Known and Probable Human Carcinogens. Updated 11/03/16. Centers for Disease Control and Prevention. Minimum Latency and Types or Categories of Cancer. Revised May 1, 2013. Felice, M., Rossi, J., Alonso, C. et al. Second Neoplasms in Children Following a Treatment for Acute Leukemia and/or Lymphoma: 29 Years of Experience in a Single Institution in Argentina. Journal of Pediatric Hematology/Oncology. 2017. 39(8):e406-e412. Li, J., Cone, J., Kahn, A. et al. Association Between World Trade Center Exposure and Excess Cancer Risk. JAMA. 2012. 308(23):2479-2488. Veham, V., Verma, M., and S. Mahbir. Early-life exposures to infectious agents and later cancer development. Cancer Medicine. 2015. 4(12):1908-22. What is the p53 Gene and Why is it Important in Cancer?